Americas Best Value Inn and Suites Houston NW offers the most value for your money when staying for business- pleasure- or just passing through. We offer clean spacious rooms- a 24-hour front desk- free coffee in lobby- free continental breakfast- and free Wi-Fi throughout the property. Our guest rooms include microwave- coffeemaker- hairdryer- 50 inch flat panel satellite TV- HBO- ESPN- iron- ironing board- desk with lamp- and alarm clock radio. Take advantage of our extremely comfortable beds and relax while saving money year-round with our Kids Stay Free Policy *11 and under in parent*s room*. For your convenience our hotel offers non-smoking rooms. Sorry- no pets allowed. We are conveniently located to Downtown Houston- Houston Zoo- and University of Houston. We are located less than one mile from US 290 on FM 1960 West. Americas Best Value Inn and Suites Houston NW is your best choice within the Capital of the Sunbelt area. We offer ideal accommodations and location whether you are in town for business- sightseeing- recreation- or simply passing through on your way to Austin or Galveston. At Americas Best Value Inn and Suites Houston NW our goal is to provide our guests a great experience- not just a place to stay. At Americas Best Value Inn and Suites Houston NW- We*ve Got You Covered from the time you hit the road until your head hits the pillow. 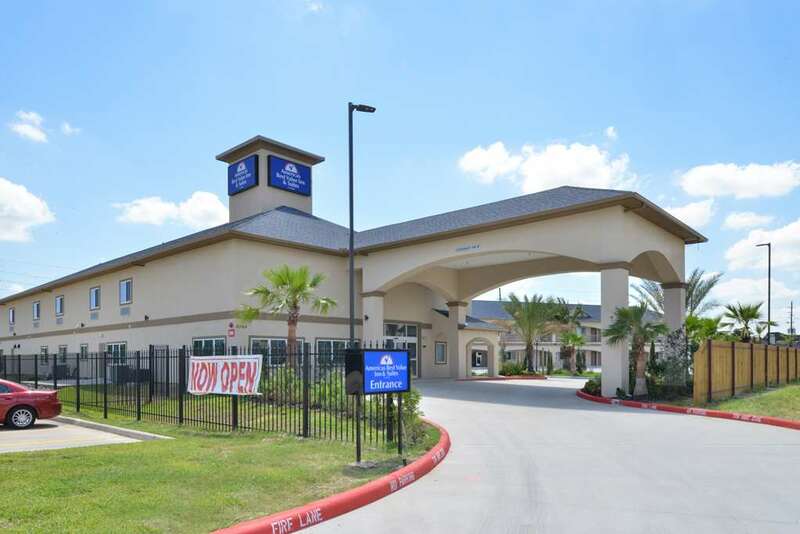 Welcome to Americas Best Value Inn and Suites Houston NW- located off of FM 1960 West and US 290 just outside of Houston. Our hotel offers easy access to downtown Houston and several attractions to allow guests to enjoy the Capitol of the Sunbelt. Our address is 12349 FM 1960 West- Houston-TX- 77065.